Corner, Sweet Corner, my refuge from the rest of the (working) world. Whelp and howdy from work, folks. 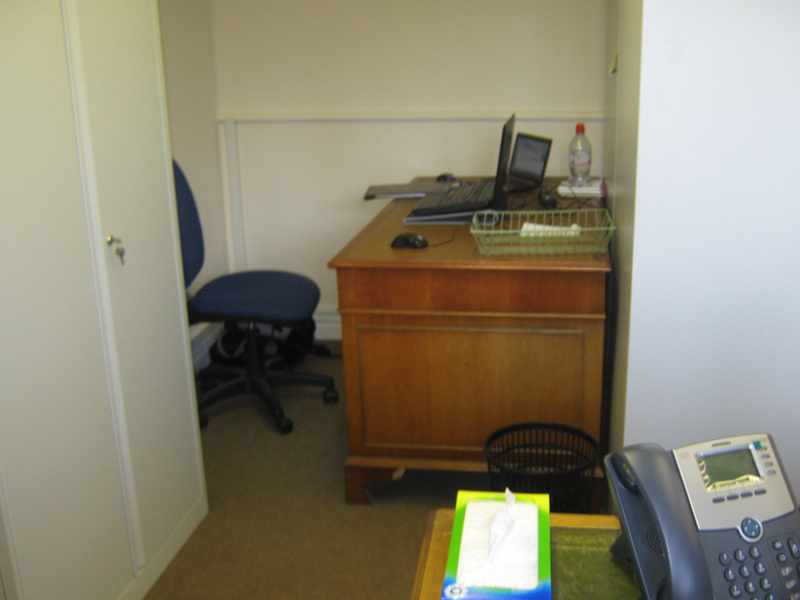 Have a picture of my corner, sans me — it’s my little office-based shelter-ma-bob. I’m not feeling particularly great about anything today. As I expected, my mother-in-law’s bright and surprised, ‘Oh, hello!’ was akin to being punched in the face with energy. I managed to mainly shrug it off, but I consider that a miracle — the entire ride over was filled with intrusive racing thoughts of the worst kind. I managed to drown it out, but yanno, that still completely lacking in energy thing. 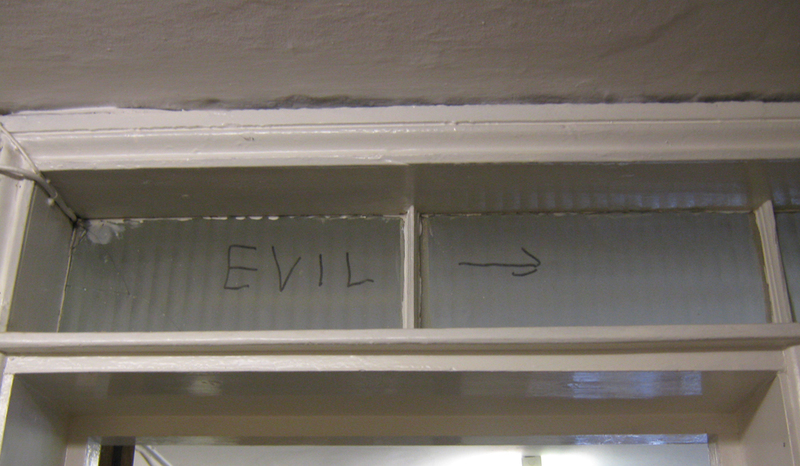 On the outer door of our office pointing my way. It predates us moving in, but amuses me nonetheless. And as it’s probably thoroughly implied, there’s a lot of fixation trying to screw itself up into a tight ball of crazy-anger, so yanno, can’t even crack my mouth without risking letting it all fly out and nuke the entire world around me. It sort of reinforces that staying home was the smart thing to do, and will probably continue to be the smart thing for the nearest future.